You're Invited to the Medicare Shop and Compare Event! 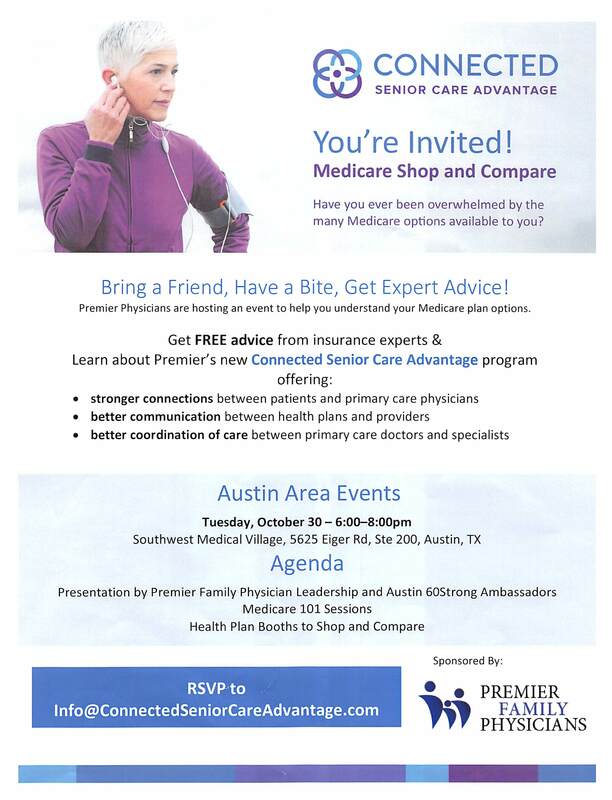 Connected Senior Care Advantage will be hosting a Medicare shop and compare event at our Southwest Medical Village location to help you understand your Medicare plan options. Receive free advice from insurance experts and learn about our new Connected Senior Care Advantage program. Click HERE to RSVP. For more information please see the picture below.